Bough Cairn in "Contemporary Sculpture" at The Studio. Videos Public Inanity/Private Insanity shown as part of the Intervenciones festival (jury prize) in Vitoria-Gasteiz, Spain on the 28th of September, and as part of the Madrid Abierto festival in February 2008. April 2007 "Couch potato farm" in the Seleccion III Muestra Monografica de Media Art 6th Festival Internacional de la Imagen in Manizales, Colombia. Quipu II as part of the Blind Art Foundation collection is in Boundless 1-5th May 2006 at the Menier Chocolate factory, 51/53 Southwark Street, London, SE1 1RU. Quipu II took the Blind Art foundation purchase prize in London at the Blind Art "Sense and Sensuality" show in the Bankside Gallery September - October 2006. "Last Refuge" photographs were in the "New Impressions" show in Pleasantville library, NY. 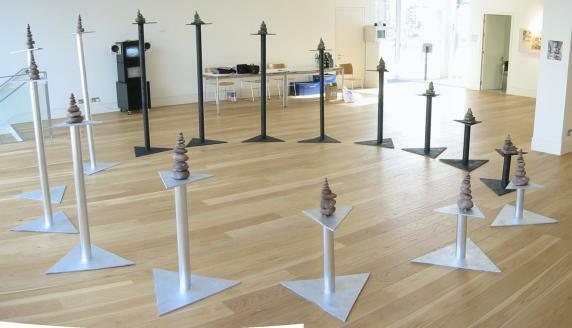 "Money Cairn II" (video and paper sculpture) in the "Art of the Northeast USA", Tuesday, May 2nd- Friday, June 9 2006 at Silvermine Artists Guild New Canaan, Connecticut, USA. Shibboleth in the Westchester biennial at the Castle gallery of the college of New Rochelle April 2nd-June 18th 2006. I had an installation "Original Elements" in "Winter Solstice IV" in the vault of the Exchange Gallery, White Plains, NY and was featured on the announcement. (Press Release). 16 December 2005-25 January 2006 12-5. 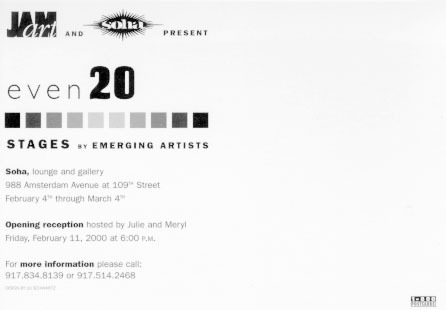 See The Studio's announcement page for further details about the two-site exhibition curated by Tedd Stratis. Shibboleth In "DIGITAL BOUNDARIES: Multiculturalism, Identity, and Awareness" Columbia University's Macy Gallery (at Teacher's College) in conjunction with ACM Multimedia 2004. Wednesday, September 29 to Friday, October 15. Reception October 12th. 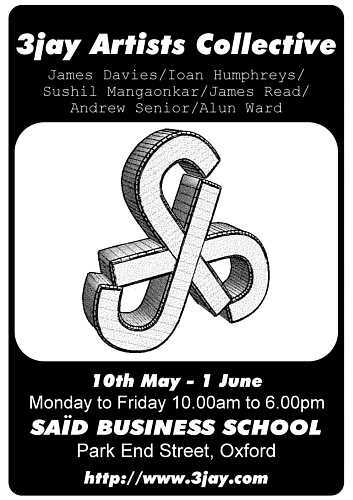 Subway Lifecycle in 55th Art of the North East at Silvermine 4th May - June 11th 2004, reception Friday May 7th 7-9pm. Artist/Curator of "Outside/In" show. 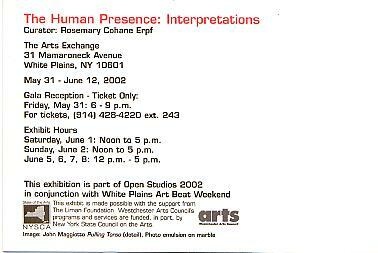 The Arts Exchange, White Plains, NY, 16th April - 28th May 2004. Subway Lifecycle, Quipu and Grendel Gongan (new) in "STAY TUNED: Hypnotic Videos by Contemporary Artists" at The Studio, Armonk, NY, 8th May - June 27th 2004. Reception May 8th 1-5pm. Art Museums of the World in F-Stop Magazine December issue. Subway Lifecycle to appear in ExpaceProjects video screening at the Knitting Factory, 74 Leonard St, NYC, 29th May 2003. 10th-31st May 2003 at the Said Business School, Oxford, UK. 3jay Group Show (part of Oxford Art Weeks). Open 10am-6pm Mon-Fri and Saturday 10-12.
as well as two new video works "Circumambulation" and "Warnings of Gales" together with four new photographs of "mudra cairns". A Thousand Words (Jefferson), Hubel and Fingerprint on show. 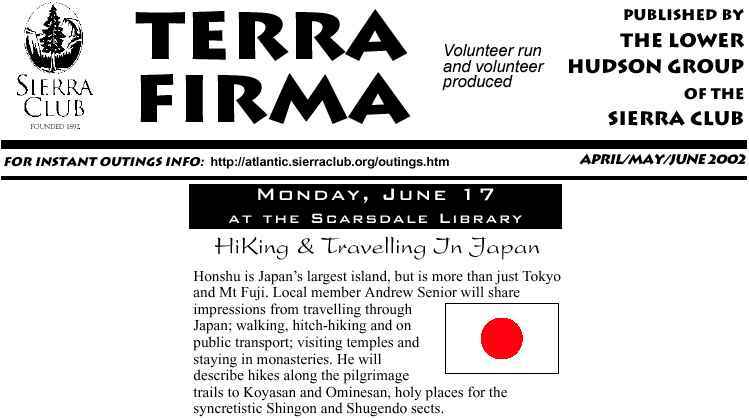 June 17th 2002, Scarsdale Public Library Talk on `Shamanism, Shinto and Buddhism: Travels through syncretistic Japan' to the Lower Hudson Valley Sierra Club group. Talk on `A road trip on the Karakoram Highway' to the Lower Hudson Valley Sierra Club group. 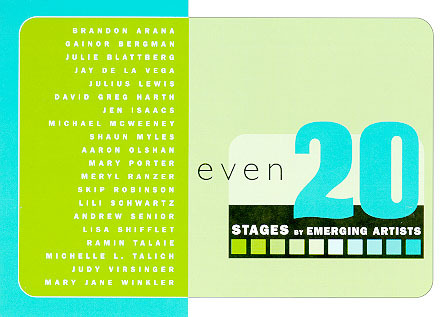 "Even 20: STAGES by Emerging Artists" at Soha 988 Amsterdam Avenue, at 109th Street. February 4th - March 4th 2000. 3Jay group show in Oxford Art weeks, Christ Church college Oxford, May 1999. 3Jay group show in Oxford Art weeks May 23rd-31st 1998. 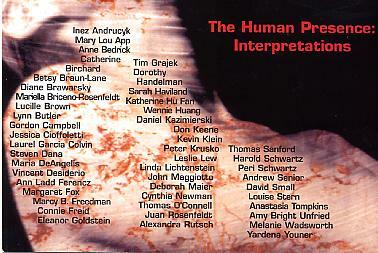 Also featured at Marist College's Summer Scholars Program 2000. Cover art for John Bishop CD: Mountain Airs November 1999.